You’re a few minutes away from having a collaboration hub for your Sketch documents. Let’s get right to it. First, of course, you’ll need to install our Sketch plugin. The plugin will be syncing your artboards and assets to your Sensive account. It will ask you to log in if you already have an account, otherwise, you can create one right within the plugin. With Sensive, you don’t need to select which artboards you want to upload. All artboards on your document will be uploaded automatically and updated every time you make a change. For tips on how to share your work with Sensive, see our guide. As soon as syncing is enabled, you’ll see a status bar at the bottom of Sketch. This bar will let you know when the plugin is syncing changes with Sensive. Once synced, you can go to Sensive to see your changes. To disable syncing, you can click on Toggle Syncing For This Document. Now that you have your Sketch plugin up and running, it's time to get familiar with Sensive! 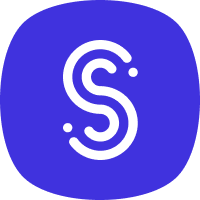 Make sure that you have at least version 50 of Sketch. This seems to be the main cause of the issue. However, please let us know if you have more recent versions and can’t seem to make it work! Whenever you toggle syncing for a document, we’ll upload all your artboards to Sensive. The only exception being artboards that are too large (like marketing landing pages), but expect this to improve in next updates. After that, we'll upload changes every time you save or switch between artboards on your document. If you make a massive change to your artboards, like updating symbols or styles, we will not be able to instantly update the affected artboards (although we're working on it 😉).